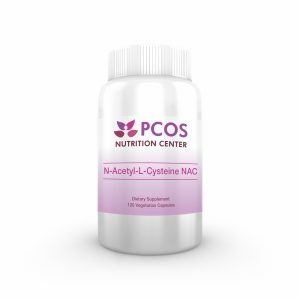 N-Acetyl Cysteine, also known as NAC may offer help to women with PCOS. In this article, we examine the research between NAC and women with PCOS and what influence it may or may not have on fertility, inflammation, and improving metabolic markers like insulin. NAC is both an antioxidant and amino acid (building blocks of protein). Specifially, NAC is a derivative of the amino acid L-cysteine, an essential precursor used by the body to produce glutathione. Glutathione is an extremely important and powerful antioxidant produced by the body to help protect against free radical damage and oxidative stress, and is a critical factor in supporting a healthy immune system. NAC has been shown to increase glutathione levels as well as protect insulin receptors. NAC may also influence insulin receptor activity. Three studies have compared the effects of NAC or Metformin in women with PCOS. The results: Both treatments resulted in a significant decrease in body mass index, hirsutism, fasting insulin, free testosterone and menstrual irregularity, and both treatments had equal effectiveness. Furthermore, NAC led to a significant decrease in both total cholesterol and low-density lipoprotein levels, whereas metformin only led to a decrease in total cholesterol level. When used with clomid, NAC has been shown to improve ovulation and pregnancy rates in PCOS women by thickening endometrial lining. 100 women with PCOS who randomly received NAC plus clomid had more endometrial thickness and ovulatory follicles than women who just took clomid or clomid plus metformin. Both NAC and Metformin improved BMI, total testosterone, insulin, and lipid levels compared to NAC. Overall, NAC is well tolerated but can cause gastrointestinal adverse effects including nausea, abdominal pain, vomiting, constipation, and diarrhea, particularly when used in high doses. The therapeutic dosage of NAC to improve insulin levels based on the published studies is 1.6-3 grams/day. If you are overweight, you may benefit from the higher end of the dose range. Fulghesu et al found that obese patients with PCOS did not respond to doses under 3 grams/day. You should not exceed 7grams/daily. As with any nutrition supplement, it is important to discuss use with your physician before taking. Bottom line: More research needs to be conducted on the potential benefits of NAC in PCOS women. So far, the evidence does show NAC can improve pregnancy and ovulation rates. NAC is a safe and well tolerated antioxidant which has potential to help women with PCOS improve their insulin and inflammation. N-Acetyl Cysteine is now available in the PCOS Nutrition Center Store! Shop now! 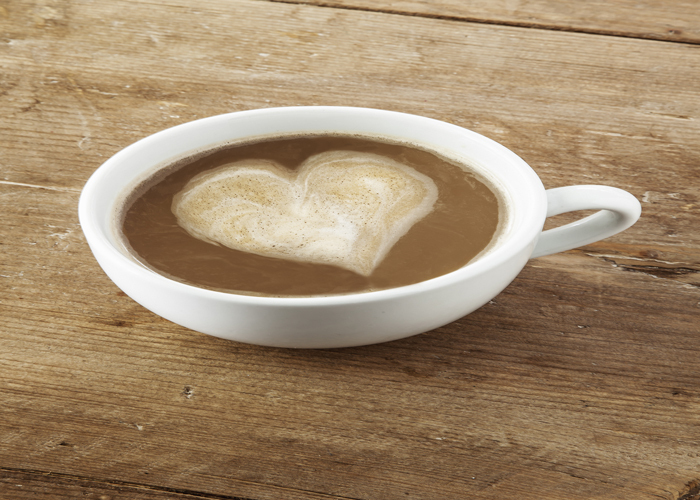 We want to hear from you: What has been your experience with NAC? If you are having good results with the dosage you are taking now you can stick with that. Heavier people need more in general. I have been using 600 mg NAC twice a day for about a month now. I have had some astounding results. My facial hair growth which was increasing steadily and spreading down towards my neck has almost stopped. I alternate between Puritan’s Pride and GNC brands and find Puritan’s Pride to be slightly more effective. If I miss a dose, I have immense sugar and carb cravings which tells me that the NAC really does help lower insulin levels thereby banishing those cravings. I am now looking to add Chromium and ALA to my regimen. Previous to this, I have used fasting as a means to restore my period, but subsequent bouts of overeating have resulted in gaining back the 40 lbs that I lost and now I am back to my PCOS state. But I am confident that soon I’ll be back on track with my health. For those with hirsutism… please try NAC. I am on Amazon as I post this, buying NAC and hoping for some sort of improvement. Thanks for the article!! I started taking 600 mg 3x a day for ten days so far. After day 3 I got my period, which I had not gotten since november (it is June). I can’t wait to see the long term results. I have hypothyroidism and PCOS. I take Levothyroxine 50mcg in the morning for hypothyroidism. For PCOS, I take Metformin 500mg in the noon, and Diane-35 in the night. Diane-35 is the brand name of a contraceptive pill. It contains Cyproterone Acetate 2mg and Ethinyl Estradiol 0.035mg. I read NAC is good for hypothyroidism and for PCOS. I just want to make sure it does not interfere with the contraceptive pill. Can I take NAC when am taking the contraceptive pill and metformin? I no longer have PCOS (strict ketogenic diet, lots of fish and other oils) but continued to have problems with insulin resistance and was eventually diagnosed with Diabetes II, despite a continuing low-carb diet. I could never get to a therapeutic dose of Metformin; made me vomit ALL DAY! However, been taking 2400 mg of NAC and the results have been fantastic. Blood glucose lowered and GOTT trsts back to normal ranges. Took about three months but really worked. Would you take thus with pregnitude or instead of. I am not ttc but manage my weight and hair loss. Gemma, You can take NAC and inositol together but may want to start with one first to see if it helps and to monitor side effects. I am a type 2 diabetic and am taking metformin 500mg daily, along with 400mg of myo-inositol and other supplements. Would it be beneficial to me to take this too? or am I doing enough? I can’t advise you on what dose you take because I don’t know what other supplements and medications you take. 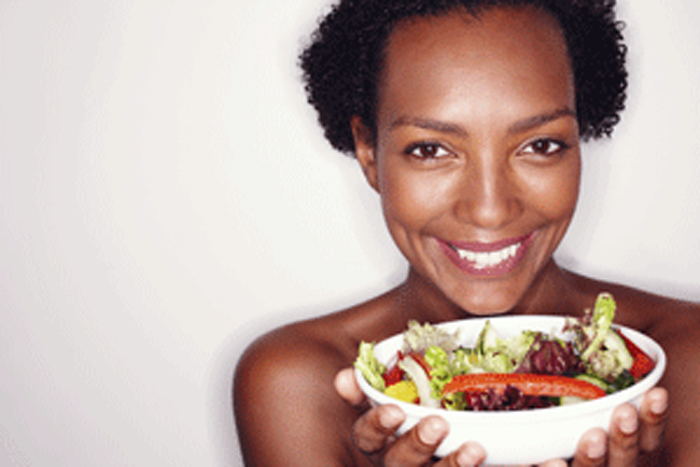 If you are interested, we do provide nutrition counseling through the web or phone and can give you the right advice. Contact us at info@PCOSnutrition.com. If you are feeling well and managing your blood sugars ok, you may be doing enough. I have been directed to take 1800 mg daily and am also taking Co-enzymeQ10 (600 mg daily) – is it safe to take both? Yes, you can take NAC and CoQ10 together. I have PCOS, and have been on Metformin for about 16 years now. I had very few periods as a young woman (about once a year) and low fertility, and treated with hormones to get pregnant in my early 30’s. (Got twins!). Yet, it took my sister who is a gynecologist to point out that I probably had PCOS, and sure enough. That’s when I went on Metformin for my heart health. About two years ago I started taking green coffee bean extract. It worked so well that I could cut my Metformin dose in half. When I excitedly told my endocrinologist about it she was completely uninterested in my comments about the green coffee bean extract, and thought instead it was all diet related. I tried to tell her that my diet had not changed, but she would not listen. I just found out about N-acetylcysteine and am eager to try that as well. Be well, all of you. There are ways to get better, and sometimes we have to do research on our own to find some answers… And thank you to the researcher who try to help! Can this be taken safely along with metformin and ovasitol? Yes, you can take NAC, metformin and ovasitol together. 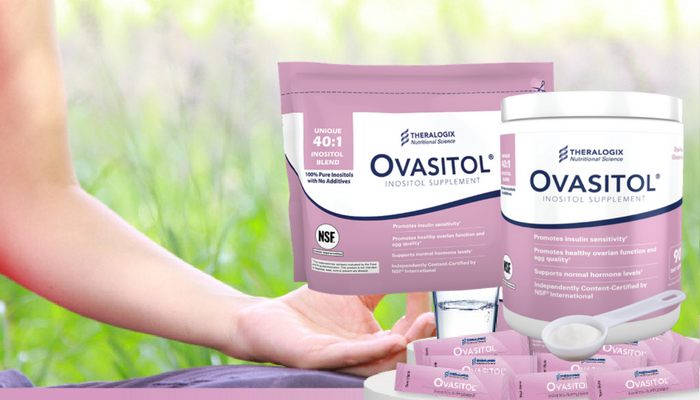 Can this be taken in conjunction with ovasitol? Disregard this comment I see the answer above. Thank you! I’m 52 and post menopausal with insulin resistance and male pattern baldness due to high androgen. Will NAC help me? My daughter suffers with PCOS as well. I had a heart attack at 39 they don’t know what cause I. Now I believe it was PCOS. I would love to decrease my stomach size. Yes, you can take it with nursing but I would check with your pediatrician before starting it. Thank you for all of your thorough research and many articles. I am newly diagnosed with PCOS though I did suspect it for nearly 5 years now! I am currently taking the ovasitol and am thinking about adding in Berberine and/or NAC, is one better than the other? They both seem similarly beneficial but would adding both be redundant? Thanks so much! Hi Sarah! Thank you for your kind words. There is definitely more research on NAC for PCOS so I would advise starting there and see how you do with it. 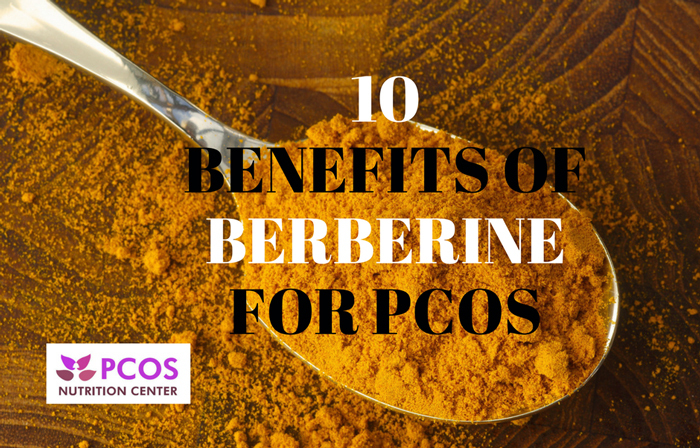 Berberine is more aggressive, and isn’t for long term use. Is it safe to continue to use the NAC while pregnant? Yes it is, but we recommend checking with your doctor first. Hi I was wondering what dose I should take of nac. I weigh 235lbs and I’m 5”6 height wise. I’m taking 2 900 mg pills a day now I was wondering if it’s safe to take 3 a day? Yes you can take 600mg 3x/day. There was a study that showed bigger women needed more NAC to be effective-up to 3,000 mg daily. I am a little overweight, but would not count as obese. Would I need the higher end of the dose? Possibly. I would suggest taking the upper end of the recommend range of 3 grams to see how you do before increasing.